Join me on a journey of new perceptions. Expand your inner awareness, melt away stress and anxiety, strengthen your intuition, and become a magnet for miracles with my guided meditations. This 10 track meditation album is a compilation of the meditations from my book 'May Cause Miracles.' These meditations are designed for you to experience subtle shifts for radical change and unlimited happiness. In this 11-track guided meditation, I'll help you release romantic illusions, overcome fears and insecurities, activate your attracting power, and manifest love into your life. Through simple breathing exercises, visualizations, and mental reconditioning, you'll simplify and enhance your dating experiences, all the while using your inner guidance to find the perfect partner. 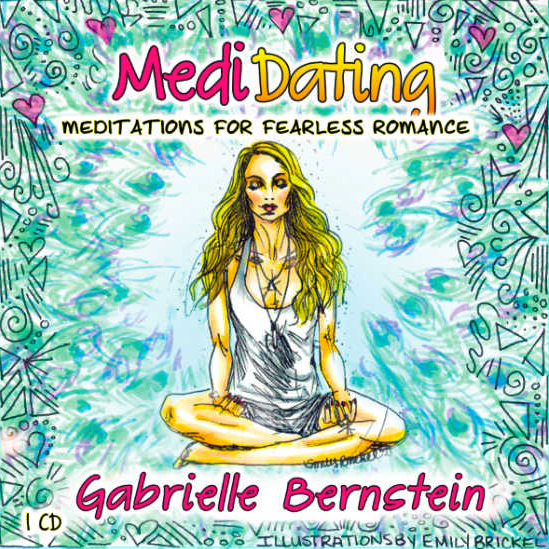 Release your romantic delusions and start MediDating today! If you’re reading 'Miracles Now' and want further guidance on the meditations, great news: I break down each Kundalini meditation for you so you can do each one with confidence — even if you’re totally new to Kundalini! These 12 videos will give you clear guidance on how to elevate your life! This meditation album includes guided practices directly from my book 'Spirit Junkie.' Practice these meditations to overcome fear, change your perceptions, and create a life you’re psyched to wake up for. Trade self-doubt and addictive patterns for a new kind of high. This one-track guided meditation will help you release attachments and set yourself free. Energy speaks louder than words. Clear your energy now with this transformational guided meditation. This is my first guided meditation album that was recorded in 2010. Included in this album are visualization mediations, mantras, affirmations and daily practices that will amplify your life!